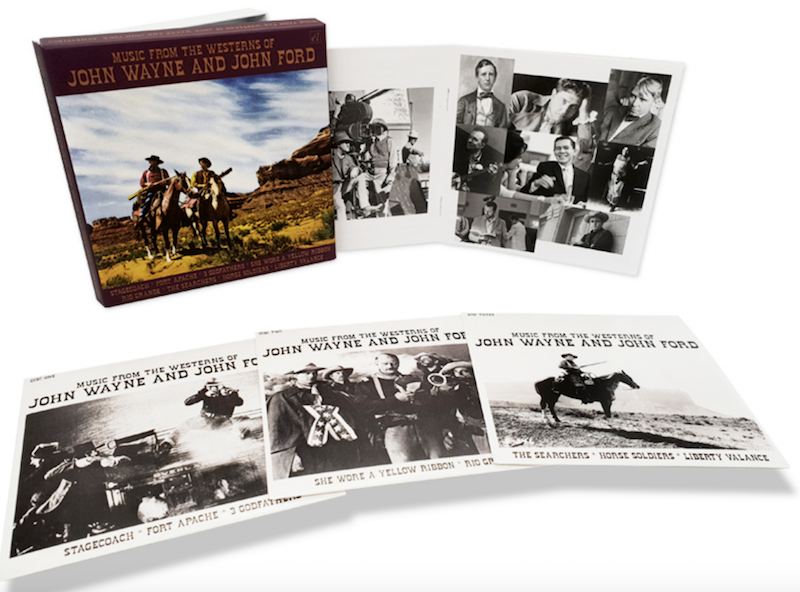 J. Carrol Naish | 50 Westerns From The 50s. 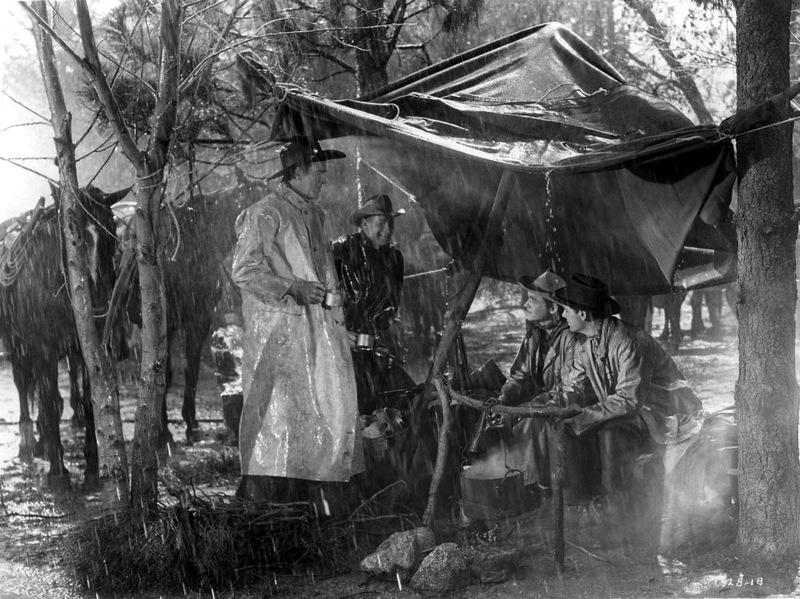 The Republic Pictures Blogathon: Ride The Man Down (1952). Screen Play by Mary McCall, Jr.
Herbert Yates devised a rather odd hierarchy for Republic’s releases. First, there were the “Jubilee” pictures, shot in a week for about $50,000 — this was their bread and butter. Then came the “Anniversary” films, with schedules stretching to 15 days and budgets up to $200,000. The “Deluxe” projects were a decidedly bigger product, with bigger starts and costing up to half a million. And last came the “Premiere” bracket, with top directors (John Ford, Fritz Lang, Nick Ray) and budgets of about a million. 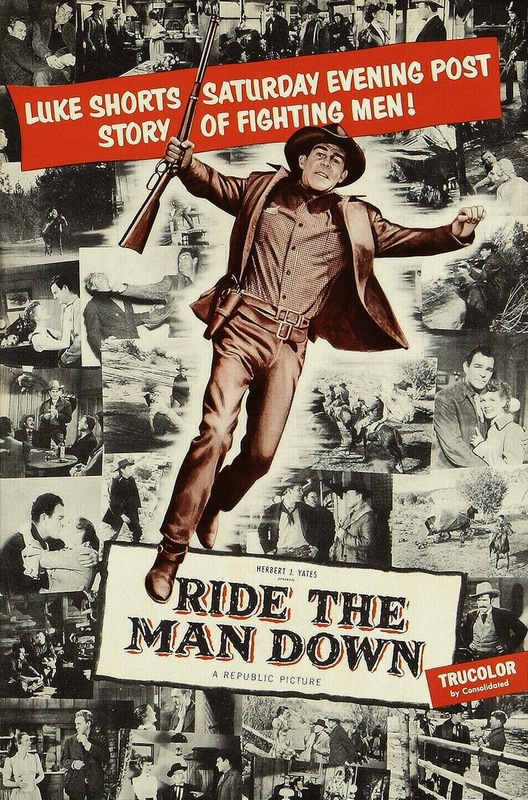 Ride The Man Down (1952) was a Deluxe, with location shooting in Utah, a terrific cast and the otherwordly hues of Trucolor. For good measure, Republic assigned it to one of their ace house directors, Joe Kane, who also gets an associate producer credit. When the owner of the renowned Hatchet Ranch freezes to death, his daughter inherits the whole spread, and it’s up to the dedicated, steadfast foreman, Will Ballard (Rod Cameron), to protect Hatchet from the surrounding ranchers. This range war plot is something we’re all familiar with, but Mary McCall, Jr.’s screenplay, adapted from a Luke Short story, is overly complicated (complete with a murder and a love triangle worked in), leaving the audience with a lot to sort out along the way. The picture’s biggest strength is certainly its cast, made up of some of Republic’s best. Rod Cameron is very good as Will Ballard. It’s a part that really suits him — he’s good at talking tough and swing his fists. 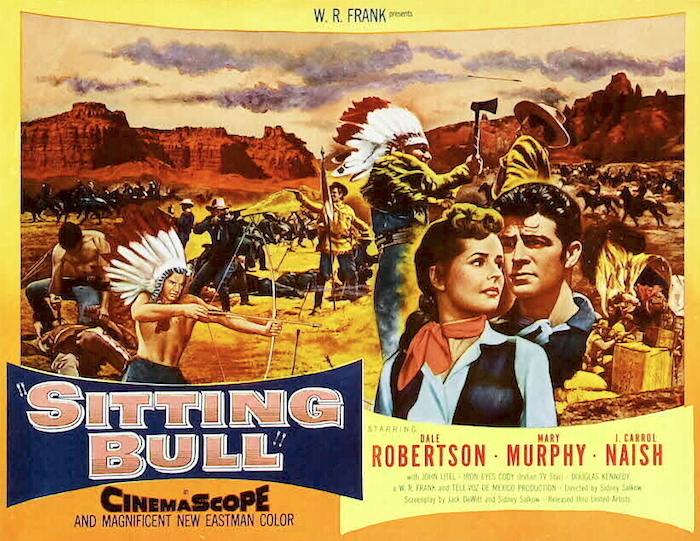 Brian Donlevy is terrific as a powerful, greedy rancher. Ella Raines is good as the Hatchet Ranch’s new owner, a part that could’ve been annoying. 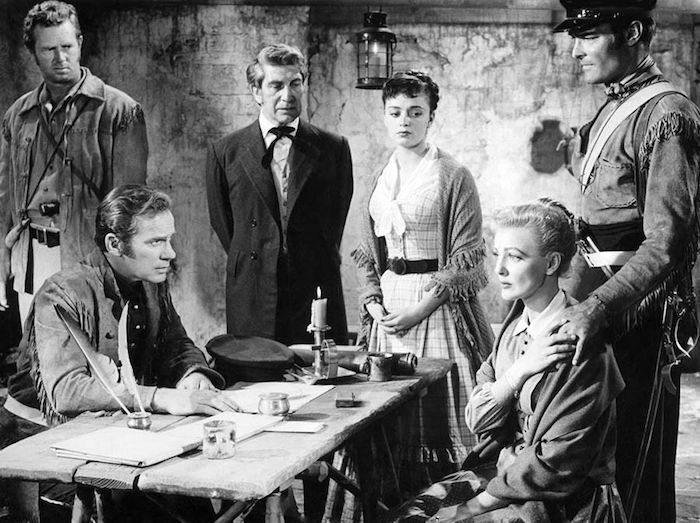 Forrest Tucker turns out to be a rather slimy bad guy. And J. Carrol Naish makes quite an impression as a crooked sheriff. Ride The Man Down boasts the kind of fistfight we expect from a Republic picture. 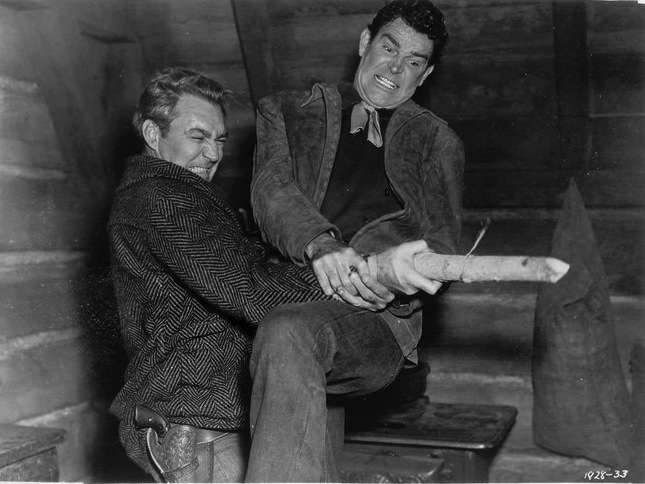 Cameron and Forrest Tucker duke it out in a cabin, practically destroying the place in the process. And there’s a cool scene where Cameron beans Jim Davis with a cue ball. This is another Republic picture without a DVD or Blu-ray release. Marta and Kane give the film a big, lush look and it’d be nice to see Jack Marta’s cinematography closer to his original intent. Maybe one of these days. I leave you with a final thought: Would you want to live in a town where the sheriff is J. Carrol Naish?